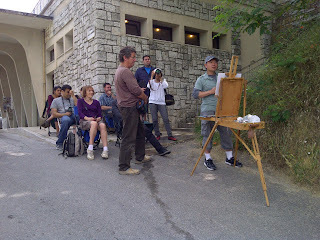 We set off at 8.00am for plein air at Montepulciano, Zhaoming did another demo then after a wander around the town and lunch we did our own paintings. After packing up at 4.00pm we then headed off to Siena for more sightseeing and dinner - pizza and beer in my case. There is lots of history and interest in these Tuscan towns but having got home at 10.30 to brush washing and preparation for tomorrow, details and more photos will have to wait. Even Super Jason admitted to slight fatigue and a bit too much sun. 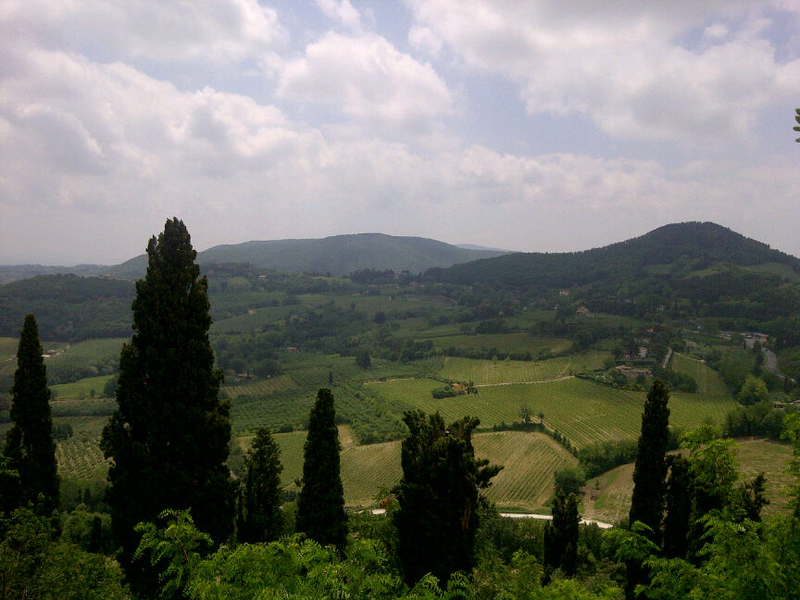 Tomorrow Todi and Assisi - bring it on!